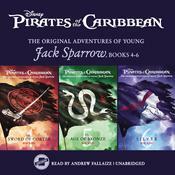 Adventure-seeking teenager Jack Sparrow has assembled a motley crew, and they’re on the quest of a lifetime. Their goal: to locate and procure the legendary Sword of Cortés, which will grant them unimaginable power. But will this ragtag team of adventurers survive their first mission, or will they succumb to the power of the sea, vicious pirates, ancient curses, and stormy threats from the forces of nature? 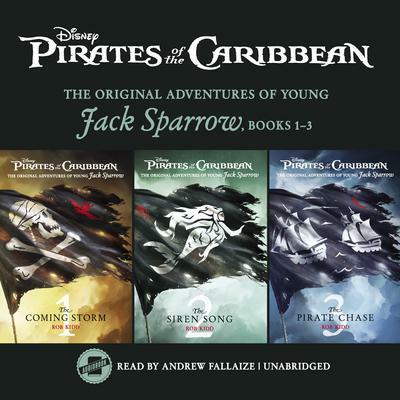 Captain Jack Sparrow’s ship, the Barnacle, and its up-till-now unshakable crew have suddenly fallen under a sinister spell. While continuing their quest for the storied Sword of Cortés, the crew suddenly finds itself entranced by an ethereal song. As a result, each of them attempt to take the Barnacle in a different direction—and away from the Sword’s supposed location. Only Jack seems unaffected by the strange song, but can he both subdue his crew and defeat the mysterious force behind the dark spell? Jack and company are hot on the trail of the notorious pirate Left-Foot Louis, who they believe is currently in possession of the Sword of Cortés. But chasing down a fierce seafarer is challenging, even for Jack’s formidable crew. And to top it all off, newly appointed first mate Arabella has a personal score to settle with Louis, but doing so could jeopardize the entire mission!